Just like your roof, flooring and other parts of your home, your plumbing system needs regular maintenance and care to perform at its best. From leaks to unpleasant odors, insect infestations, corrosion and more, when you neglect to maintain your home’s plumbing system, a variety of issues can develop. Over a long enough time period, it’s far from uncommon for these issues to become surprisingly expensive to fix. 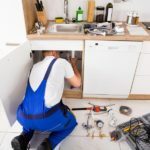 Below, we’ve listed some of the most common side effects from lack of regular maintenance for your home plumbing in Orange County, along with useful maintenance information to help you ensure your pipes, faucets, water heater and other plumbing equipment remains in optimal condition. Leaks are one of the most common plumbing issues. From damaged plumbing connections to cracked or burst pipes, leaks can develop from a wide range of reasons. They can also range in their severity, from minor leaks to serious leaks that can rapidly cause damage. When left untreated, leaks can damage the materials used to build your home by soaking into a wood, carpets, drywall and other materials. Repairing a leak from the start is often significantly less expensive before it’s had time to soak into the building materials used to construct your house or apartment. Wear and tear – Over time, pipes can age and develop cracks, which cause water to spill out of the pipe and leak into your home. Impact – Vibrations and direct impact from construction can cause pipes to break open, resulting in leaks that develop and worsen rapidly. Tree roots – For external pipes that connect your home to a water main or sewer line, roots from plants and trees can grow into the pipe and cause a leak to develop. Blocked drains – Certain substances can become lodged in a drain, causing a blockage that eventually leads to a broken pipe and leak. Temperature – Pipes that freeze during a cold winter can break while thawing out due to the sudden change in temperature, creating a risk of a leak developing. Because leaks can lead to significant property damage, it’s important to fix them as quickly as possible. An experienced plumber can identify both the location and the cause of a leak, from minor leaks inside your walls to severe leaks from your water line or sewer drain. Did you know that leaking pipes can often lead to insect infestations? Cockroaches and other pests thrive in damp areas, making broken pipes or leaking traps a popular location for insect infestations to develop. Many people are unaware of this, assuming that cockroaches and other insects are attracted to discarded food rather than water. In reality, cockroaches and many other pests can live for weeks without food but require a constant supply of freshwater in order to survive. Without proper maintenance, it’s possible for your home’s faucets, washers, traps, shower drain and other plumbing equipment to act as a magnet for cockroaches. Once these pests make their way into your pipes, getting rid of the infestation can become a far more difficult process than normal. As always, it’s best to solve this issue before it happens with regular maintenance of your home’s plumbing system. From detecting leaks to fixing blocked pipes, the right plumber can reduce your risk of dealing with an insect infestation by solving problems when they happen. The end result is a cleaner, more hygienic home and less stressful, pest-free lifestyle for you as a homeowner. Without proper maintenance, nasty odors can often develop from your home’s toilets and drain pipes. Over time, these odors can get worse, making your home a less pleasant place to spend your time. While it’s possible to mask many common bathroom odors with air freshener, doing so will just disguise the smell — it won’t actually solve the problem that’s causing the odor to develop in the first place. The most common unpleasant plumbing smell is a sewage odor, which can develop as a result of a blocked sewer drain. Since water and waste can’t drain properly from your toilet, the water can become lodged in the drain, causing a smell to spread from your toilet. Nasty toilet and drain odors can also develop as a result of a cracked, leaking pipe, which can cause wastewater to spill out into your home or yard. Finally, many toilet odors can develop if the P-trap below your toilet or sink becomes faulty, causing gases to flow into the bathroom. In the case of an empty P-trap, you might be able to fix the smell by simply flushing your toilet and allowing the trap to refill. However, blocked drains and sewer line leaks should be handled by an experienced, professional plumber for best results. Finally, failing to properly maintain your home’s plumbing system can even result in damage to your yard and driveway. If a leak develops in your sewer drain or water line, there’s a serious risk of water leaking into your yard. Over time, these water line and sewer drain leaks can develop into moist patches, causing damage to your grass, plants and other yard features. When water pools up under concrete or tiling, it can even cause cracks to develop — a costly annoyance. Severe underground leaks can even cause sinkholes to develop and sewer waste to flow into your yard. Underground leaks can develop for several reasons. Sometimes, pipes can break due to tree roots or vibration from nearby construction. However, most of the time, leaks develop because of aging pipes that have been worn down through years of wear and tear. As always, if you notice water damage in your yard, the best option is to contact an experienced plumber. They’ll be able to identify the location of the leak, find out what’s causing the issue and offer a comprehensive repair. Is your home’s plumbing system in need of maintenance? 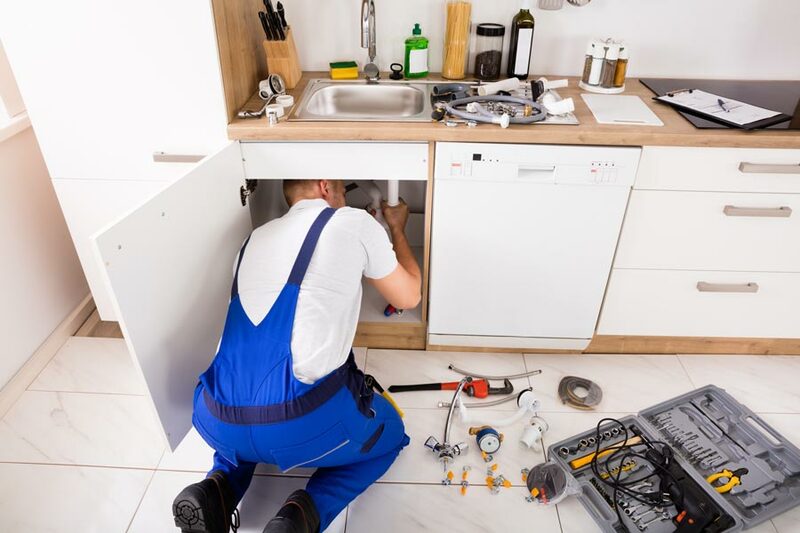 Whether you’ve noticed a leak or just think it’s time to replace old pipes, an Orange County plumbing service can provide expert opinion and hands-on help to make sure your home’s plumbing stays in optimal condition throughout the year.